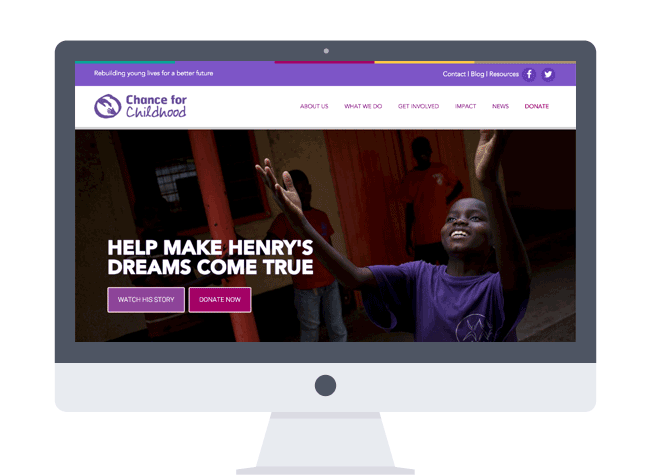 Are you a small charity that needs a mobile-friendly, easy-to-use, great-looking website? But you're bewildered by the cost and process of getting one? Mobile friendly Your site's content will reformat itself so your supporters can use the site whatever device they're using. Google friendly your site will be optimised to rank as high as possible in the search engine rankings. Easy to use Content Management System (CMS) video tutorials and custom 'how-to' guides are built into your site's dashboard. we've cleaned up the admin experience to reduce confusion and so you can't accidentally break anything! We've spent years working for charities, both big and small. And we've worked with many more. That's why we're uniquely positioned to understand your needs. Your website is the friendly, approachable and professional face of your organisation. Create a great first impression with your visitors and turn them into devoted donors! ‘Mobile-friendly’ designs that look and work great on computers, laptops, tablets and smartphones. Built to meet modern accessibility standards so everyone has the chance to enjoy your content. Simple, secure and reassuring donation forms. Easy to share content on their social networks. We take the hassle and confusion out of building a new website, so you've got one less thing to worry about. We've spent many years working for charities, and many more building websites for them. We've made a lot of the decisions on your behalf, and set up these sites to be the best combination of technology and functionality for small charities. Our sites are built on the industry-standard WordPress platform which powers nearly a quarter of websites on the internet. Backed by a community of hundreds of thousands of developers. The security of your site is expertly nailed down to keep it safe from hackers and malware. And if you subscribe to our website care package we'll make sure that your site and all its software is constantly updated to the latest versions - the best way of protecting it from malicious programs that seek out vulnerable and insecure website code. Hassle-free, secure donation forms that comply with Payment Card Industry (PCI) data protection requirements. We provice a legally binding, mutually signed contract for the development and deployment of your new website. Subscribe to our cost-effective website care package for ongoing support and peace of mind. WordPress is ‘open-source’ software developed and maintained by thousands of people across the globe, for free. There’s no licence fees to pay and the software is constantly being improved. WordPress can be extended and customised to cost-effectively meet any requirement your charity might have in the future. You’ll never outgrow WordPress or its functionality. You’re not handcuffed to using any company (including us!). Unlike using something like Squarespace, Wix or an agency that has its own Content Management System - you’re free to take your business elsewhere. The WordPress marketplace is a very competitive one so you’re spoilt for choice and cost-effectiveness. Our complete charity sites are a great investment for budget-conscious charities. We offer a fixed, transparent price. And we don't charge VAT. You should also budget approximately £100 a year for web hosting. And we highly recommend you sign up for our ongoing website care package which costs £90 per quarter. Read our blog post that tells you more about our fixed-price complete charity sites. Download our process diagram to find out. You’ll get a mobile-friendly WordPress website that easily enables your staff to add pages, news items, blog posts, case studies, fundraising events, jobs, donation forms, photo galleries and more. We’ll work with you to customise the logos, colours and fonts used, and we’ll pick the layout options that work best for your content. The sites include our selection of the best premium WordPress ‘plugins’ that extend your site’s functionality, security and search engine visibility. 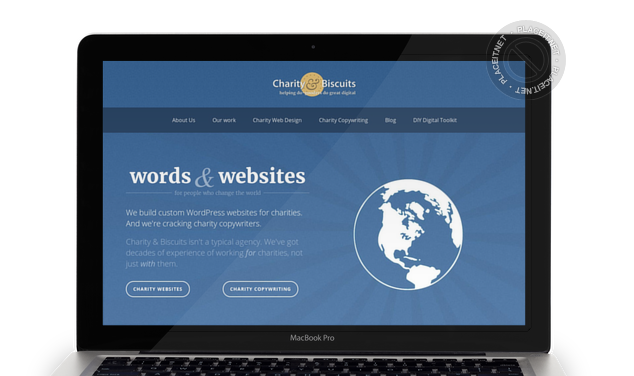 Charity and Biscuits is a ‘collective’ rather than a typical web agency. We’ve spent years working for charities, not just building sites for them. Our main focus is on building bespoke website solutions for charities as we enjoy diving in and working in partnership with them to produce content and designs that will get results. But we know that there aren’t many good options out there for charities on a tighter budget and with more limited ambitions. That’s why we launched this WordPress charity website package. Quite a lot. These sites aren’t designed to be cookie-cutter replicas of each other. The colours and fonts can be changed to suit your brand, and the layout can be tweaked to show off any strong images you have, or to make bolder use of typography for example. There’s other elements that we’ve chosen to lock down, making decisions on your behalf based upon the best user-experience. Too much choice can be bewildering and you’re not an expert! How long does it take to build the new website? In our experience, the most time-consuming part of the process is the clients’ content creation - getting all the words and images together for each page. If you have got all your content ready to go then we can build and launch the site within three weeks. It more typically takes clients a couple of months though to fill the staging version of the site with all the required content. What if I want a custom feature or functionality that’s not included as standard? These sites are built to be extendable, so there’s almost certainly a way to add on any functionality you need. We’re happy to advise you about that on a case-by-case basis and advise of the most appropriate solution, and give you a quote for the project if need be. We’ve built online shops, multilingual sites, JustGiving style sponsorship pages etc in the past. They’re quite time-intensive jobs though and they’d push up the price of the charity website packages too much to include them as standard. What’s the difference between this charity website package and the custom sites you build? Our custom WordPress sites tend to cost £5-15k. For that price we do an in-depth ‘Discovery’ phase and we’ll build the site around your content and to meet the charity's objectives. On a much smaller budget you’ll do more of the work yourselves and it’s a case of fitting your content into the site, rather than vice versa. You don’t have fine control over every last detail of how the site looks because it is not being custom built from scratch. Design can be a very subjective matter and if you want to be very particular about how each pixel looks then this probably isn’t the solution for you. What happens after my website launches? Regular updates of your WordPress software and plugins. These updates are frequently released and applying them in a timely manner is the most important means of keeping your site secure. Automated 24/7 monitoring of your site’s ‘uptime’. We will receive an email if your site or server is down for some reason. Regular, automated backups of your site. These will be stored in a secure ‘cloud’ location separate from your web server. As a small charity we were not simply looking for a new website but for someone with relevant knowledge of the charity sector who could possibly advise and guide us throughout the process. We were lucky to find Ben through an online search! He made things so much easier for us and was able to anticipate our needs, understand our expectations and drive the whole process. 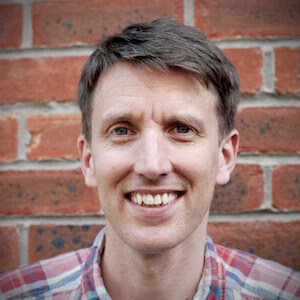 Knowing that Ben had worked both at the coal face and with charities, was a real bonus for us, as we were struggling to find a developer who ‘knew charities’ locally. I would highly recommend Ben, and I hope to work with him again.